At long last, Hillary Clinton testifies on the 2012 terrorist attacks in Benghazi, Libya, and her emails as secretary of state. Here are some suggested questions. Although these suggestions are based on the public record, we need to assume that the members of the House Benghazi Committee have seen far more than the public has. I have framed the questions in traditional cross-examination style, though I doubt that the politicians on the committee will have the self-discipline to adhere to it. The theory of cross-examination — particularly of a high-profile, intelligent, belligerent or ruthless witness — is for the questioner to tell a story by asking questions that suggest answers that challenge the witness's version of events or impeach the witness's credibility. The questioner's version of events must be based on credible evidence. In a courtroom, the questioner's audience for his version of the events is the jury. In a congressional hearing, the audience is the American people. 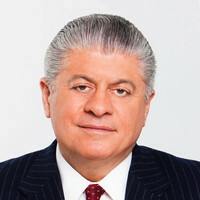 I have publicly advised members of Congress that they should not ask any questions of Clinton; instead, they should have a prominent attorney who is her equal in intellect and knowledge of the law yet is a fierce, experienced cross-examiner do so. But the lure of TV cameras will probably cause the committee members to reject my advice. As well, some of the committee members are lawyers, and the committee's chairman, Rep. Trey Gowdy, is a former federal prosecutor. Mrs. Clinton, when you first became secretary of state, you were briefed on the proper use of emails, right? And you were informed of your obligation to preserve all governmental records that came into your possession and not destroy any of them, right? And you also were briefed on the proper handling of classified materials, weren't you? In fact, Mrs. Clinton, you were presented with a written government oath that every federal employee who handles classified materials receives and must sign, correct? Isn't it also true, Mrs. Clinton, that you never signed that oath? Didn't you pay a State Department employee — not an outside vendor — to install a private email server in your home in New York? And when you did that, you knew the practical effect of it would be to divert all your emails — governmental and personal — away from the government, right? And you used, did you not, that email system your employee in the State Department installed in your home as your exclusive email source during your tenure as secretary of state? And that email system was directly connected to the Internet, right? Isn't it true that you received and sent emails on your personal system that included satellite photos of foreign surveillance; intercepts of telephonic and email communications of foreign agents; travel plans of U.S. Ambassador to Libya Christopher Stevens, who was killed in the Benghazi attacks; and the true name of a CIA agent operating under deep cover in the Middle East? Isn't it true that you were probably too busy to read all the emails you received before storing them or sending them on to others? Isn't it true that you treated all emails alike, whether they contained delicate or personal information or not? Mrs. Clinton, haven't you stated a few dozen times that you never sent or received emails marked "classified"? Now, Mrs. Clinton, you were the country's chief diplomat for four years, right? Don't you know that nothing is marked "classified" — that the national security markings are "confidential," "secret" and "top secret"? Mrs. Clinton, isn't it true that you asked President Obama to let you hire your friend and colleague Sidney Blumenthal as a special assistant to you in the State Department? Isn't it true that the president declined your request? Didn't you then have your family's foundation hire Mr. Blumenthal, and didn't you then treat him as your assistant without telling the president? Mrs. Clinton, didn't you communicate with Mr. Blumenthal about political and national security matters on a regular and consistent and often-daily basis? Didn't he provide you with confidential information from his own sources? Didn't you pass confidential information on to him? Mrs. Clinton, you knew that the war you were waging against Moammar Gadhafi was causing great instability in Libya, right? And you knew that instability had led to the need for private security firms to protect Libyans and Americans in Libya, correct? And didn't you also know that your friend and confidant Mr. Blumenthal had a financial interest in one of those firms while he was advising you? You didn't see anything illegal about an employee of your family's foundation's receiving secret data from you while he was advising you and trying to get business for his security firm in Libya, did you? Mrs. Clinton, isn't it true that you put the travel plans of Ambassador Stevens onto nongovernmental Internet venues? Isn't it true that at the time you did that, he asked you for more security in Libya and you did not provide it? Mrs. Clinton, isn't it true that to fight your secret war against the government of Gadhafi, you sent American arms into the hands of his opponents? And you did this without a congressional declaration of war, right? Didn't you know that many of Gadhafi's opponents were al-Qaida operatives, who are America's sworn enemies? Weren't you reckless in getting arms to them? Didn't you realize that you were arming the very people against whom your ambassador was seeking more protection? Mrs. Clinton, do you know it is a felony to provide arms to terrorist organizations? Do you know that Ambassador Stevens was murdered by al-Qaida operatives using American arms and American bullets? Mrs. Clinton, do you think anyone but the most hardened Democrats and your husband's old friends could trust you in public office?